M.E.C. 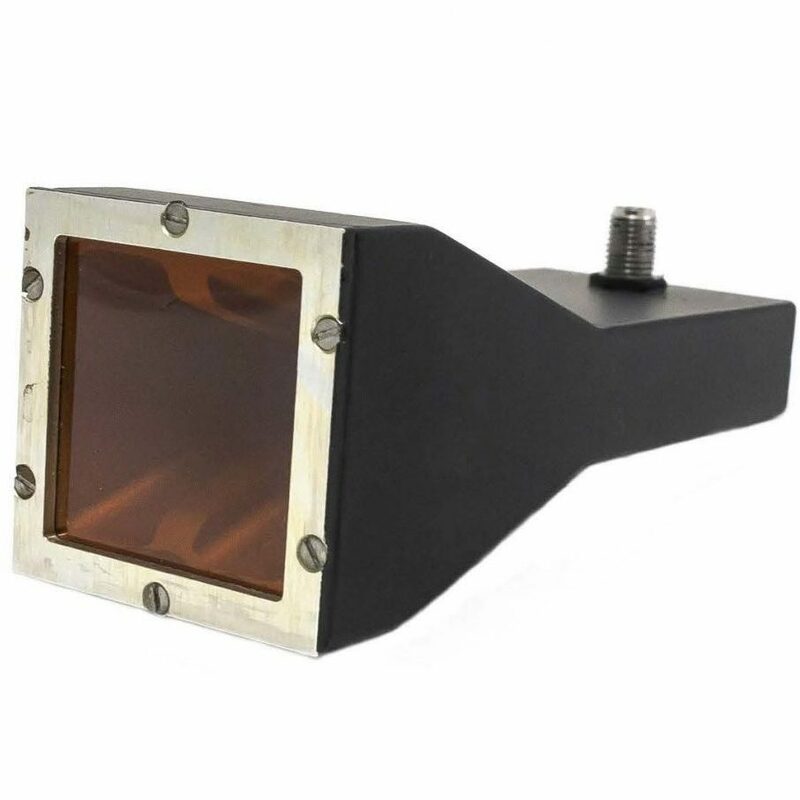 offers several types of linearly polarized horn antennas covering bandwidths of an octave of more with your choice of waveguide or coaxial inputs. Construction is aluminum with chromate conversion finish per MIL-C-5541, Class 3, and epoxy enamel paint. Typical examples are listed below. Other frequency bands and various input connectors may be specified. 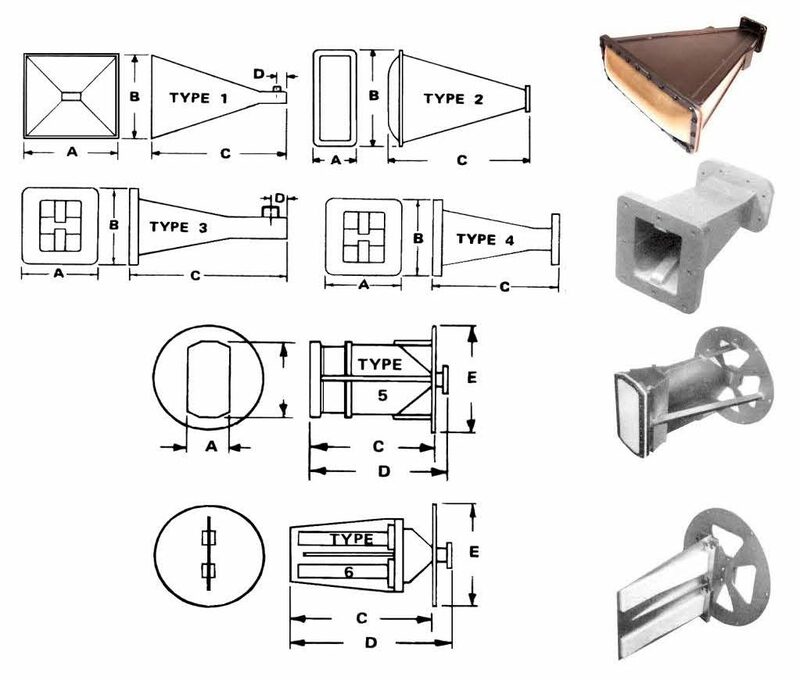 M.E.C.’s linearly polarized horn antennas come in six types. Type 1 is an octave bandwidth pyramidal horn. Type 2 is a sectoral horn pressurized to 15 psig. Type 3 and 4 are octave-plus bandwidth, ridged horns with nearly equal E and H-plane beamwidths. Type 5 is a lens-corrected horn; Type 6 is an array of 2 end-fire elements. Type 2, 5 & 6 handle 100 KW peak power when pressurized to 18 psig. All units operate from –55 to + 120°C. (2) Specify required power level.